Foreign bodies and necrotic tissue must first be removed before closure. Most foreign bodies and necrotic tissue can be removed without difficulty either manually or with high-pressure saline irrigation. 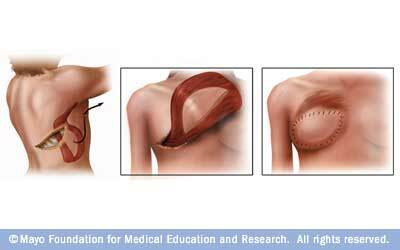 For more firmly embedded foreign bodies, surgical excision can be used for removal. For foreign material that was injected, such as paint or grease injected under pressure, radiographs can help determine the spread of material in the target area. Radiopaque materials, such as metals or leaded glass, can also be detected with a radiograph. For other materials that cannot be easily visualized, techniques to use include xeroradiography, magnified radiographs and CT scans. A wound with greater than 105 organisms/gram tissue is considered infected. A visual inspection is not adequate to assess bacterial counts so cultures need to be performed. The rapid slide technique is effective in that it provides bacteria counts within an hour. Age of the wound is important in that it correlates with bacteria counts. The first 6-8 hours after a wound is called the "golden period" because clinical studies show that there are less than 105 organisms/gram tissue within that time and so the wound can be closed safely. Other important factors to consider are the location (areas with greater blood supply tend to resist infection) and immune status (younger people less likely to become infected). 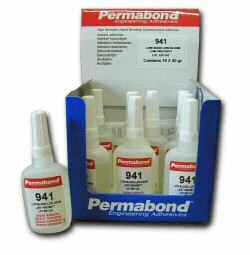 Topical creams can reduce the number of bacteria in a wound. A commonly used agent is Silvadene (made from silver sulfadiazine). It has a broad antibacterial spectrum and does not adversely affect metabolism like other agents (mafenide, silver nitrate). Silver sulfadiazine is also thought to increase epithelialization rate, thus leading to faster wound healing. Made from collagen or synthetic polymers treated with aldehyde (to resist enzymatic degradation). Disadvantages of natural fiber sutures include fraying during knotting and more variability in tensile strength. Skin staples are made of metal and are applied using a skin stapler. 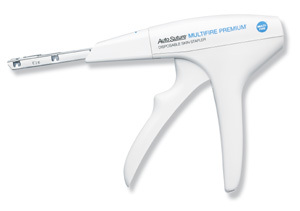 There are many brands of skin stapler, each with their own advantages and disadvantages. In general, most brands are effective and can be used in most applications requiring stapling. When a wound is severe enough that the edges cannot be approximated without excessive tension or deformation of skin and surrounding tissue, other methods are needed. Skin grafts and flaps use tissue from another location of the body to replace the lost tissue at the wound site. Grafts must be protected from infection, bleeding, and shearing until it has reached maturity. Once it has matured, it will regain perspiration and sensiility characteristics of the recipient site rather than the donor site. Skin grafts cannot heal over areas >1.0-1.5 cm2 of denuded bone, nerve, or tendon because those areas have most likely become avascular and a skin graft will not revascularize. For those situations, a flap can be used because they do not require complete revascularization since they use the vasculature from their original site. Flaps retain color, texture, hair, and other activity. Sensibility and perspiration are eventually regained. Additionally, use of skin substitutes has also been attempted. Alloderm and Integra contain dermal elements of skin, while Apligraf contains other components as well, including epithelium. Improvements are still necessary for skin substitutes, however. Currently, methods to close severe wounds are generally very effective when applied to the proper situations. Because different methods exist (suture, staple, grafts and flaps, and adhesives), different types of wounds can be handled and treated. There are still many ways to improve wound repair, however. One improvement would be to decrease the time needed for suture insertion and tying. 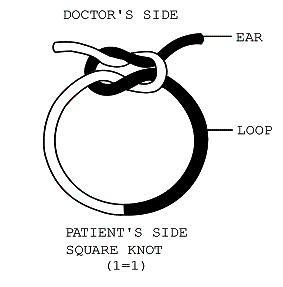 If a device were to be constructed that could be set to automatically insert the sutures and knot them, it would save a great deal of time and effort for the surgeons. Each closure method itself can be improved, but an ideal improvement to wound treatment in general could include one standard type of treatment for all wounds. This seems very difficult because the severity and types of wounds is so varied, but a standard treatment would make things much easier for surgeons. No time would be lost deciding what closure method is best, and no training would be needed for several different types of closure. Another improvement to wound healing could involve ways to make tissue repair faster. 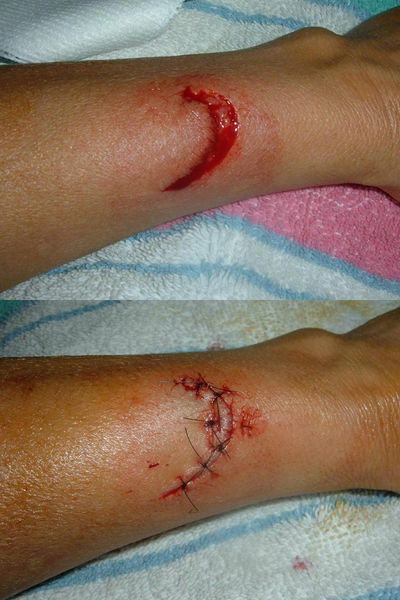 Faster healing would allow the closure device to be removed sooner and thus would improve the cosmetic aspect of wound closure. Ways to accomplish this could include growth factors and hormones to instigate growth. The field of tissue engineering deals with this and could be applied to create more effective wound closure and repair methods.